by that helping them to raise the awareness for their cultural diverse surroundings, to find out and understand the differences as well as to be proud to except their cultural and personal identity that will lead to achieving personal, social and professional development. In this project participants had to discuss about the culture, gender equality, the ethics, the education system, the music, and the traditional dances of all the partner groups. They had lectures, team games, workshops and discussion about all the unique cultures that are included under Europe. Had to make activities with the aim of knowing Europe: quiz, building maps, sport games, round table, open discussions, presenting traditional histories, workshops and outdoor activities. Also, they had a special day about mixing cultures and combine people from different background. The main topics of the exchange were discovering cultures and learning new ethics, arts and traditions. During the project participants had to try to build bridges between the European Youth and to promote the volunteering and the values of our common future in Europe. Also during the project they had organized intercultural nights where all the partner groups presented their country, their culture, traditional foods, drinks, music and dances. This project wanted to mix different cultures and cross borders to other traditions, languages and mentalities by involving actively with groups from other countries. 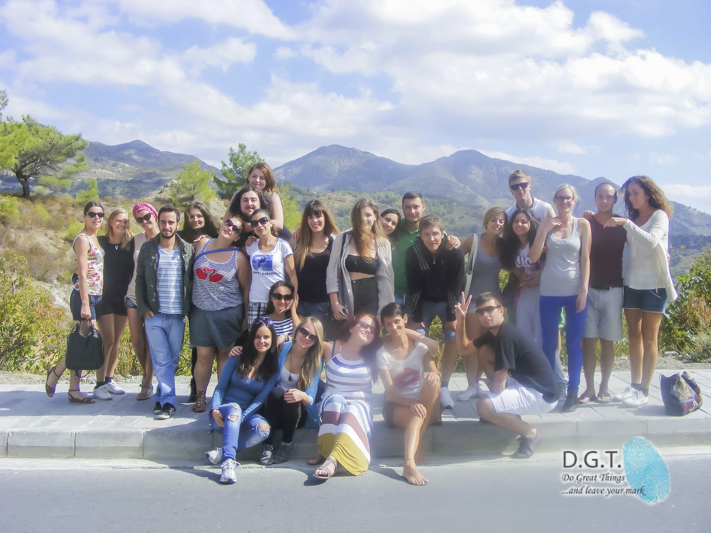 The main objectives of this project were to raise awareness of one’s own identity and culture and to cross borders to other traditions, languages and mentalities by involving actively with groups from other countries. One important part was furthermore the addressing of prejudice in all kinds of situations and how to fight it. Through activities including group work, outdoor activities, interactive lectures, quizzes, games and workshops, the participants had to find out more about the factors that may separate us (like nationality, mentality, sexual orientation, background etc.) and learned how to benefit from this diversity instead of seeing them as obstacles. By getting in touch with the other participants, they had broadened their horizons and improved mutual understanding within Europe.